As I've touched on recently, Canada has been a colossus of game development over the past decade or so. Everything from EA Sports to Eternal Darkness to Sins of a Solar Empire. Both Vancouver and Montréal are hubs of North American game development. So who was I going to pick as my representative of the Canadian games industry? I was tempted to go with the Canadian stereotype and pick the Greatest Sports Game of All Time, EA's hockey classic NHL '94, but I knew I had to choose someone else. A company in Edmonton, of course. Between Baldur's Gate, Neverwinter Nights, Knights of the Old Republic, Jade Empire, and Dragon Age, BioWare has essentially shaped the Western approach to role-playing games. And none of them is more important than their sci-fi action/RPG trilogy Mass Effect. BioWare pioneered the idea of an open-ended moral compass in Western RPGs. Do good things, and people will realize you're a good person. Do bad things, and people will realize you're a bad person. It seems almost cliché and binary at this point, but before this system, gameworlds would often react to players the exact same way regardless of what players did. BioWare's games make the player feel like they're actually making a difference in the gameworld they inhabit. 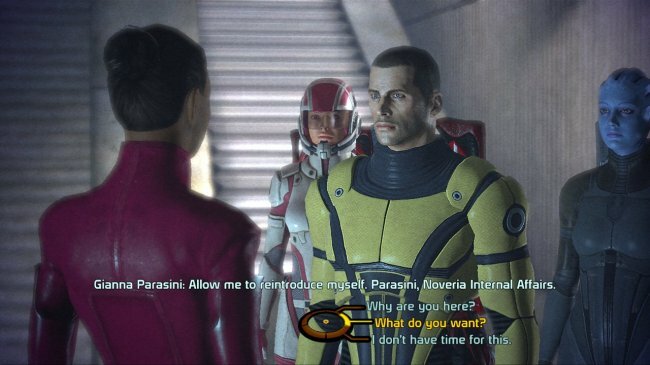 The other big innovation of BioWare's games has been the conversations between characters. Games as a medium have struggled with learning how to make conversations interactive and interesting. While BioWare still features the traditional "conversation trees," they've taken these to the next level of emotional nuance. BioWare is not infallible. The massively-multiplayer online adaptation of their Star Wars series, The Old Republic, was a huge commercial failure. And Mass Effect 3's controversial ending led to mass player complaints which led to the developer actually changing the ending of the game--setting a dangerous precedent for authorial control in gaming. But we can't question the importance of this bastion of Canadian game design.